I played eight or nine games last night in my Pershing win every one of them. Whatever the number is to be one win from Gold League. I must have lucked out, as I had great teams. We stayed together, flanked properly, and no one ran off and hid. I spoke too soon. I played last night, hoping to hit the lowest War Chest reward and go to bed. I never got past 200 points into Gold League. I had completely opposite teams from my previous session. Lone heavies trying to run down one side of the map, TDs yolo'ing for some unknown reason, just complete unorganized and uncoordinated play. Some times we'd get someone who'd ping a smart location to fight from, and 3 or 4 players would run off willy nilly seemingly out of spite. "You're not my real dad! You can't tell me what to do!" Most matches contained at least three Motherland/Fatherland/Defenders in any combination, plus a boatload of IS variants. That's not a complaint, just an observation of a complete lack of variety in player selections. First of all, thank you for doing another tier than X. The point system was a sore though. -too short. A weekend is too short. Especially for the players who work at weekends. (like my girlfriend. This was the first RB she could have played because she doesn't have a tier X, but she worked at the time or slept). -Do Ranked Battles ones a month or all 6 weeks for one whole week(without making it harder to rise in leagues). -Raise the rewards again and keep them the same for every tier as the tier does NOT indicate the difficulty. This way it doesn't hurt so much to lose if you did good but someone was better. You could still climb your league but slower. This system would also give you a feeling of skill being rewarded and not just wins. Wins boost the skill reward though. -put an icon of the league a player is in in front or behind a players name in the team view screen. Just curious what I am fighting against. *This idea came up when I had a discussion with a clanmember that said, he would not participate in tier VIII ranked battles so he would not scare newer players away. Fair point I saw, as he is really good. With my idea the queue times would rise a bit but newer players won't be demoralized so fast. That is all for now. If something else comes to my mind, I will update this post. Recently played the Ranked battles this weekend. It was very long and tedious compared to the past ones I played in. Since the last time I played in them the point accrued was a lot smaller than the 5200 to get to Grand Master. With much better prize support. This time the prize support was lacking, The silver income for top didn't even recuperate the losses and 7 days of premium was a joke compared to getting 30 days for being Grand Master. Sure got some gold out of the boxes but still wasn't enough to cover the losses. Map rotation was horrible just like normal game play saw more maps of one type over another. Karelia shouldn't have been in rotation to many games were lost because the map spawn locations do not let players get back in time to defend in a 7 v 7 match. The Point System is to basic. You put players in a battle as solo players but its based upon wins and losses some of those players are entering the battles are trying to ride the win wave of other by just sitting back. Games are won and lost as a team but in the year+ of ranked battles it tend to be toxic and players tend to do their own thing. Would Love to see something more than Ranked Battles as a player that YOU WARGAMMING should sponser not some third party like ESL or any other party in the form of TEAMS not SOLO play. Next Ranked battles take tank spawn locations into consideration, corner to corner maps shouldn't be used on large maps like Karelia, the timer should be set to 10 minutes not 15 minutes. 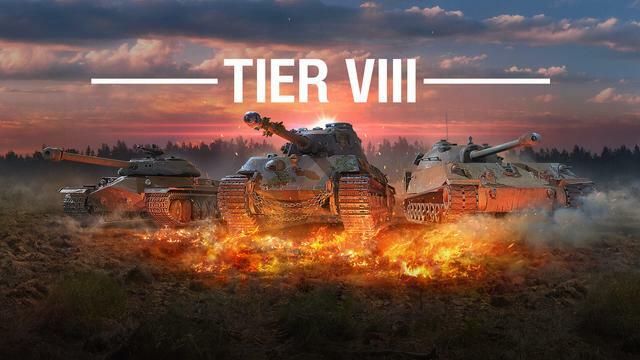 Thanks for Ranked Battles and please would like to see something more rewarding for the time invested into an event like this. I enjoyed the weekend. It was something different. I also like the 7 x 7 format. I wouldn't mind seeing other tiers at different times too. In this format, it seemed that it was more about winning and less about stats. So I appreciate the work that wargaming went to in bringing this off and I appreciated the players that participated and even those that drubbed some well needed lessons into my head.